There can be little of greater importance to a growing company than its unique reason for existing and the expansion that mission enables. Yet, despite its importance, a sharp definition of what the company stands for and what makes it special is one of the easiest things to let drift in the crush of daily to-do lists and over-scheduled agendas. Here is one example of a successful leader who maintained focus as he scaled his business. Consider the case of Harsh Mariwala, the founder and CEO of Marico, a consumer-products company in India. Mariwala started his consumer product journey in the early 1970s with a single product line—edible oils. Annual revenues then were just $8,000 per year—or $15,000 at current exchange rates. By any measure, the odds were stacked against Marico. But Mariwala thought there was room to grow. To give but one instance, edible coconut oil was then sold in fifteen-liter tins. After much deliberation, he introduced Indians to smaller and more convenient plastic containers. These were designed so that pests like rats couldn’t gnaw through them. In doing this, he achieved two things. First, he made an otherwise unwieldy product accessible to the masses in an easy-to store form. Second, he drove down prices of what had been a luxury product until even those at the bottom of the pyramid could afford it. This innovation in place, he traveled throughout rural India and started to build a mind-boggling distribution network of three million outlets. The outcome was there for all to see. Even the remotest villages started to stock Marico’s products. Between these innovations and distribution network, the brand soon became a source of competitive advantage and fueled the company’s resurgence. Marico is now the largest hair-oil company in the world. It controls a significant market share and occupies the number-one position in 90 percent of the segments it operates in. A robust overseas franchise brings in 25 percent of its revenues. The company now has a market value of over $4 billion and during the last fifteen years has maintained revenue growth of 15 percent and profit growth of 20 percent. 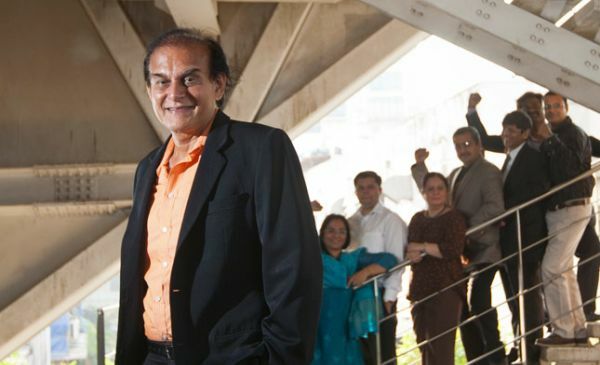 Part of his success, Mariwala told us, stemmed from actions he took to embed Marico’s strategy and principles when the company had five hundred employees and forty managers on its rolls. With managers coming in from different organizations, everybody had his own views on how the business should be run. “It started to get chaotic,” he said. “I realized that to manage properly, I had to define what we stand for. So I started to codify it on how people ought to treat each other in the company and what our culture should be. When I was done, the document was about forty pages long and covered people, products, strategy, customers, our view of the markets, and how we ought to look at profits. I shared this with the team, and the response was positive. No one had seen something like this in firms where they worked earlier. But I soon realized this was my view. It had to become theirs as well. So we initiated a process with the top few layers of the company to discuss, modify, and operationalize it. We gathered inputs and refined our thinking in about twelve full days of discussions across a year. When we were done with it, we had a document on hand with three sections in it: People, Products, and Profits. We then went to the next layer of employees and went on an offsite to discuss and refine it further. This level of discussion was important to create ownership, eliminate cynicism, and drive an understanding that this is how we intend to run the business—and that these are not just words on paper. Mariwala and his team made sure every element of the document they had labored on for over a year led to actions that changed daily procedures to run the company. Take a value Marico calls “openness.” To emphasize this value, Mariwala created an office where employees could all see one another and didn’t have to go through an assistant to talk to the CEO. To reinforce this value further, Mariwala initiated open house meetings. He’d visit every office and factory, and make himself available for hours to employees who had questions. He also initiated training programs focused on values and started to reward and celebrate people for reinforcing them. He worked hard to minimize hierarchy as well. In many Indian organizations, supervisors and senior executives are typically addressed as Sir or Ma’am. Mariwala insisted that employees at all levels be called ‘‘members’’ and address one another by their first names. Looking back, Mariwala says that codifying, socializing, and embedding purpose at the company’s core—and relying on everybody to do the same—is what lies at the heart of Marico’s success. His achievements are impressive. Today, Marico employs about 2,400 people, and its stock price has increased twelve-fold over the last decade. 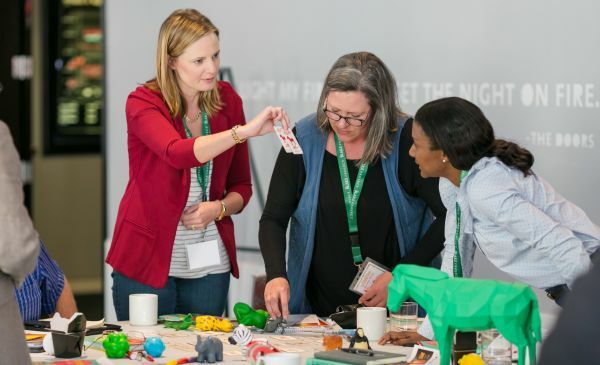 Leaders in rapidly growing companies need to set aside enough time to ensure that everyone understands and feels connected to the purpose of the company, including involving them directly in shaping it. Contributed to Branding Strategy Insider by: Chris Zook with the permission of Harvard Business Review Press. Excerpted and adapted from The Founder’s Mentality: How to Overcome the Predictable Crises of Growth.